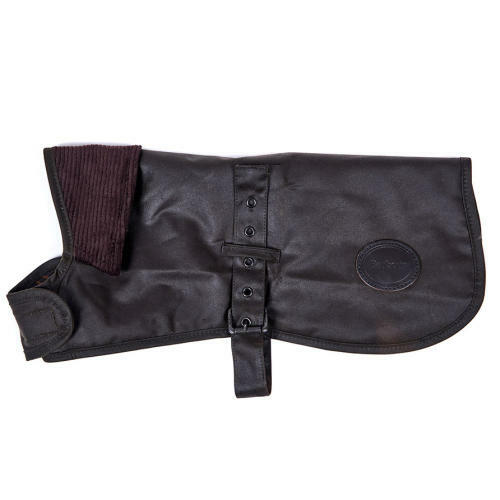 Barbour Wax Dog Coat in Olive is a stylish way to keep your pooch dry and warm on those chilly days. This coat is lightly quilted to keep your four-legged friend extra snug during cold weather, while the water resistant outer means they're protected from the elements. With metal buckles and a velcro chest strap, your dog is guaranteed a comfortable fit.